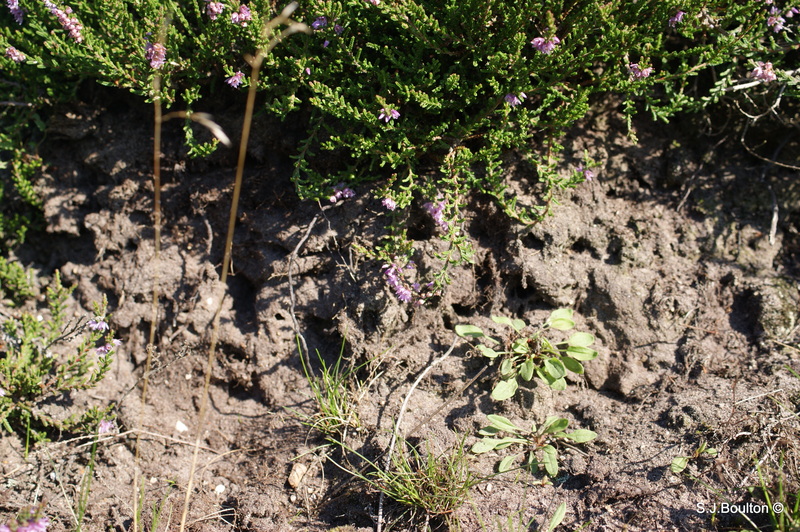 The underlying chalk of the Breck heaths was laid down in Late Cretaceous seas tens of millions of years ago. On top of the chalk lies sand, pushed there by an Ice Age ice-sheet. When, from the Bronze Age onwards, forest was felled from these poor well-drained soils, in the driest area of the UK, what developed was a huge sandy grassland which could be used for little except raising rabbits and mining flint. Over centuries the great Breck grassland, with its giant sand dunes and poor, flinty agricultural fields, became home to many dry-country plant and animal species not found elsewhere in the country. 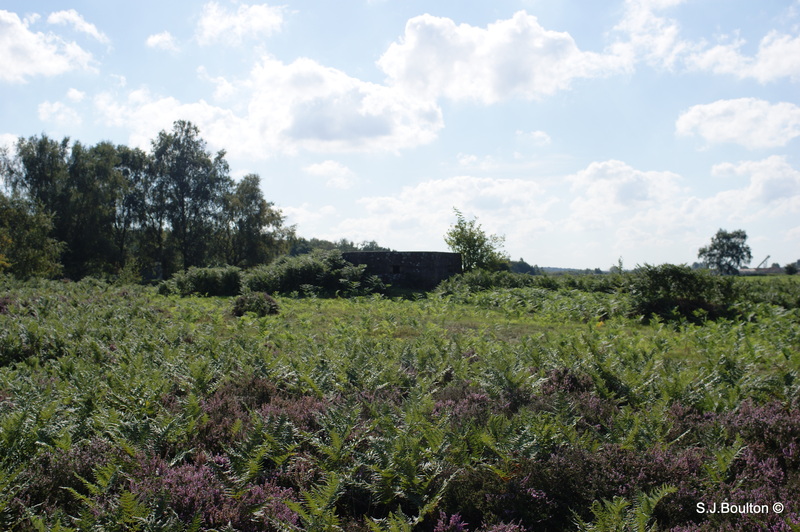 The Breckland as a landscape region is an unusual natural habitat of England. It comprises the gorse-covered sandy heath that lies mostly in the north of the county of Suffolk but also in the south of Norfolk. An area of considerable interest for its unusual flora and fauna, it lies to the south east of another unusual habitat, The Fens, and to the south west of The Broads. The typical tree of this area is the Scots Pine. The Brecks are one of the driest places in England. The Breckland is one of the few areas in England where the rare and shy (but non-indigenous) golden pheasant may be seen in the wild. 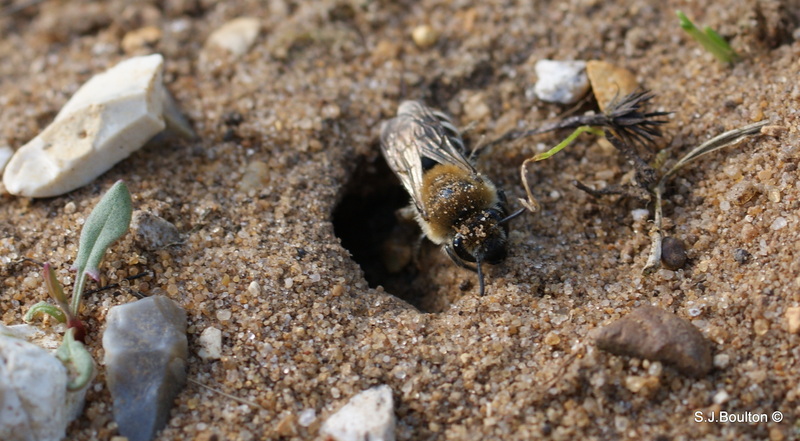 Colletes succinctus (Heather colletes bee) love this habitat as well as other mining bees and wasps. Its easy to dig and doesnt get disturbed by farm traffic and animals. It is also very free draining meaning the buried Young don’t perish in sodden soil. 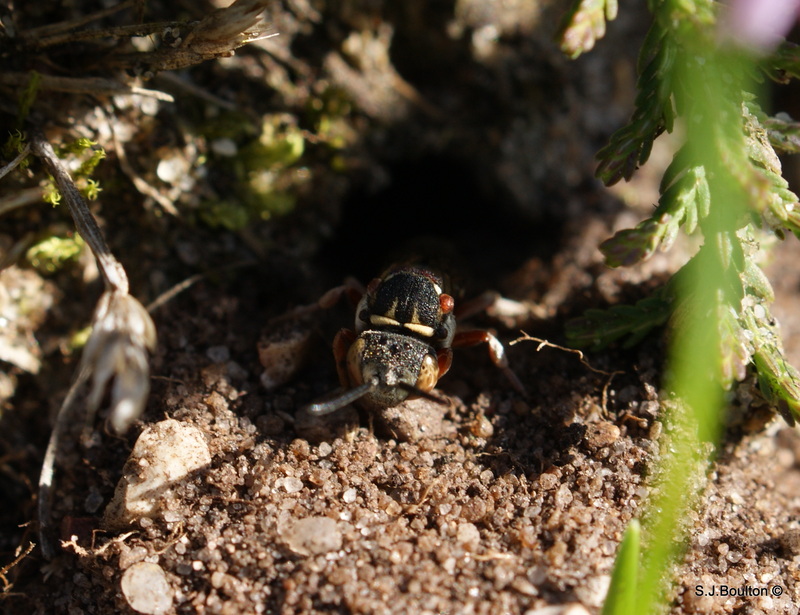 Epeolus cruciger which is a cuckoo bee which uses the provisioned nest/burrow of other mining bees.